COLUMBUS — Area teams have found out where they are going to play after the Ohio High School Athletic Association released the second round playoff pairings Sunday. Wapakoneta (10-1), who beat Trotwood-Madison in the first round, will head south and face Middletown Bishop Fenwick (9-2) at Piqua Alexander Stadium in Division III region 12 at 7 p.m. Friday. Bishop Fenwick defeated Chaminade-Julienne 28-7 in its opening round game. In Division IV, St. Marys (10-1), who downed Pepper Pike Orange 48-12, will take Western Buckeye League foe Van Wert at Lima Spartan Stadium at 7 p.m. Saturday. Van Wert, who hosted its first postseason game last week, beat Huron 33-14. 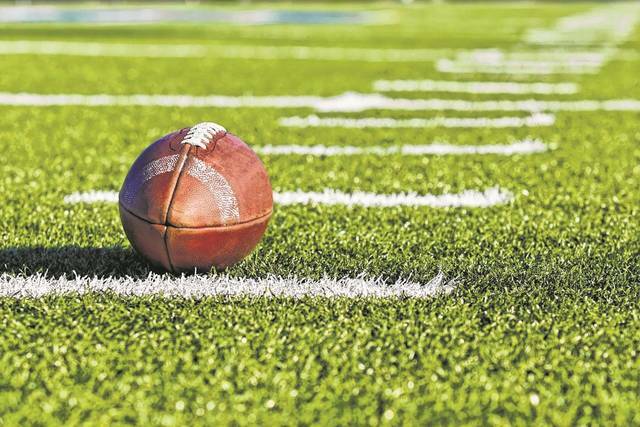 Lima Central Catholic, a 40-18 winner over Covington in the first round of the Division VI bracket, will take Midwest Athletic powerhouse Marion Local at Wapakoneta’s Harmon Field at 7 p.m. Friday. The Flyers are coming off a 55-7 win over Spencerville. Columbus Grove advances in Division VI region 22 after the Bulldogs beat Carey 21-7 and will face Attica Seneca East (10-1) at Tiffin Frost-Kalnow Stadium at 7 p.m. Friday. In Division VII region 26, Leipsic, who beat top ranked Mohawk 40-14 in the first round, will have a rematch with McComb in the second round at Findlay’s Donnell Stadium at 7 p.m. Saturday. McComb won its first round game, 45-21, over Patrick Henry. In bottom half of the region 26 bracket, Pandora-Gilboa, who scored a 33-7 victory over Tiffin Calvert, will face unbeaten Edgerton (11-0) at 7 p.m. at Defiance’s Fred Brown Athletic Conference. Edgerton bumped off Norwalk St. Paul 36-0. In region 28, Crestview will face Minster at Wapakoneta’s Harmon Field at 7 p.m. Saturday. Crestview took care of business in the first round with a 41-30 win over Miami Valley Christian Academy. Minster downed Riverside 51-6 in its first round contest.